Film Plot: A recently released ex-con and his loyal wife go on the run after a heist goes awry. Grade: C7	Fine to Very Fine. Folded, single-sided. 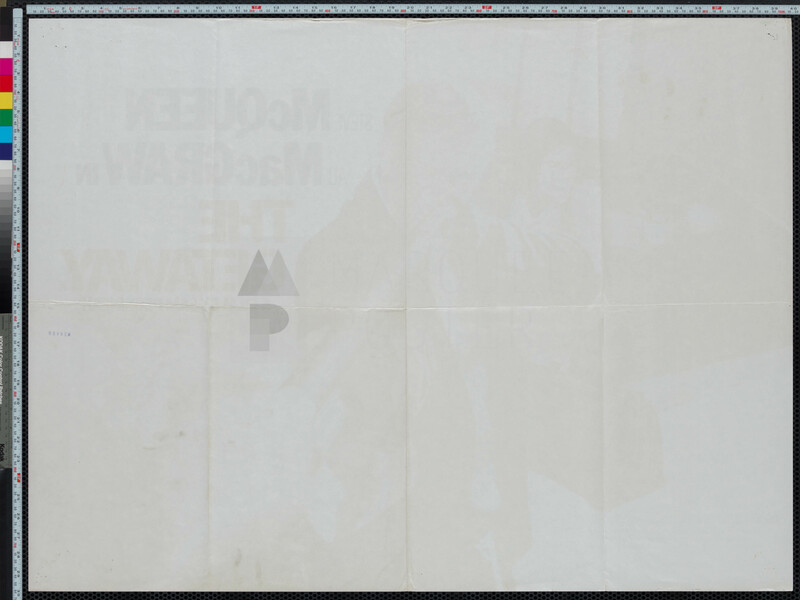 Theater-used poster with minor handling/edge/surface wear and multiple staple holes in the around the edges. 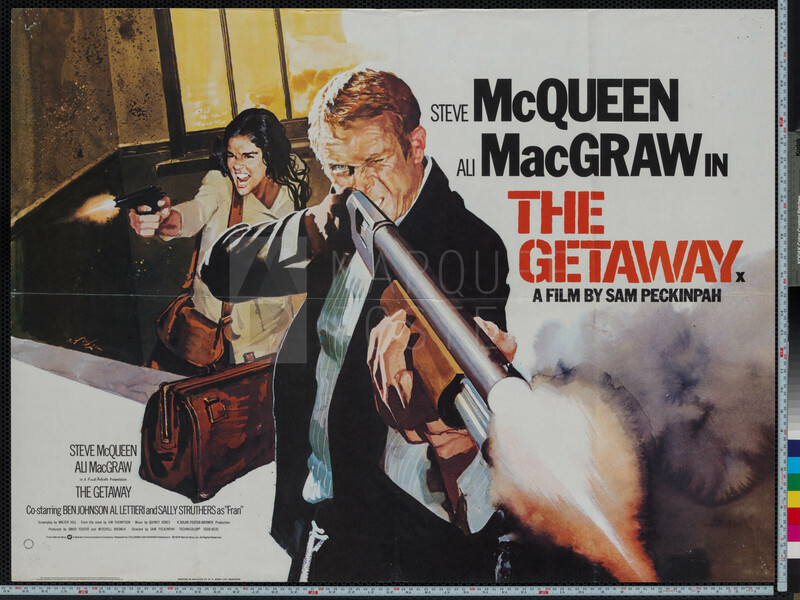 The Getaway is basically a tough as nails exploitation film about bad people doing terrible things, being pursued by even more ruthless, despicable people. The fact that we care at all is a testament to Sam Peckinpah’s masterful direction and charismatic turns from the lead actors, Steve McQueen and Ali McGraw. 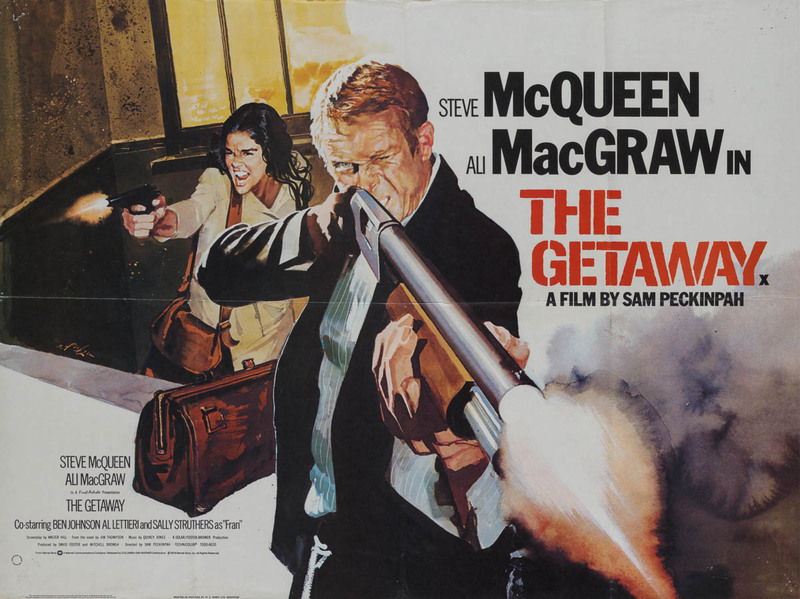 It also helped that audiences of the day were fed up with by-the-numbers Hollywood garbage — they wanted gritty, they wanted raw and the Peck gave it to them in heaps! Not to mention the grand finale shootout in a seedy El Paso motel is a bullet ballet that would leave John Woo weeping with admiration! This 1979 re-release UK quad (30×40″) poster features gorgeous, frenzied artwork from Arnaldo Putzu, which has helped propel it to one of, if not the most, collected posters for the film.